visitors coming to your place. He may allow some visitors to enter while denying others whom he suspects of being intruders. 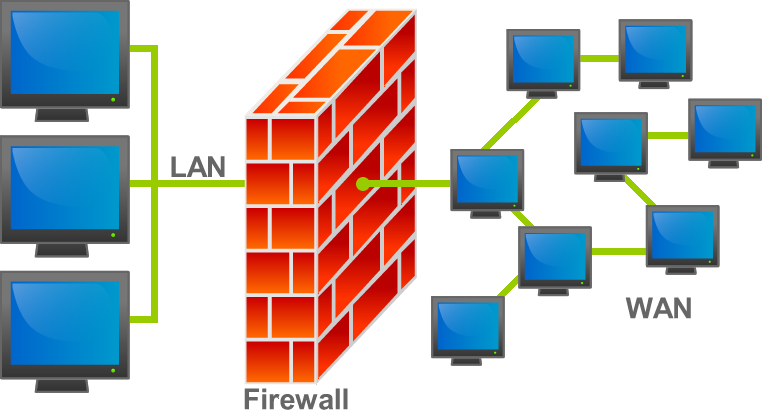 Similarly firewall is a software program or a hardware device that filters the information coming through the internet in form of packets to your personal computer or a computer network. In any case if an IP address outside the network is said to be unfavorable, then it is possible to set filter to block all the traffic to and from that IP address. For example, if a certain IP address is found to be making too many connections to a server, the administrator may decide to block traffic from this IP using the firewall. Since it is difficult to remember the IP addresses, it is an easier and smarter way to configure the firewalls by adding filters based on domain names. By setting up a domain filter, a company may decide to block all access to certain domain names, or may provide access only to a list of selected domain names. Every service running on a server is made available to the Internet using numbered ports, one for each service. In simple words, ports can be compared to virtual doors of the server through which services are made available. For example, if a server is running a Web (HTTP) service then it will be typically available on port 80. In order to avail this service, the client needs to connect to the server via port 80. Similarly different services such as Telnet (Port 23), FTP (port 21) and SMTP (port 25) services may be running on the server. If the services are intended for the public, they are usually kept open. Otherwise they are blocked using the firewall so as to prevent intruders from using the open ports for making unauthorized connections. 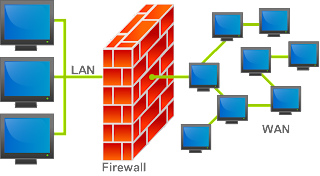 A firewall can be configured to filter one or more specific words or phrases so that, both the incoming and outgoing packets are scanned for the words in the filter. For example, you may set up a firewall rule to filter any packet that contains an offensive term or a phrase that you may decide to block from entering or leaving your network.